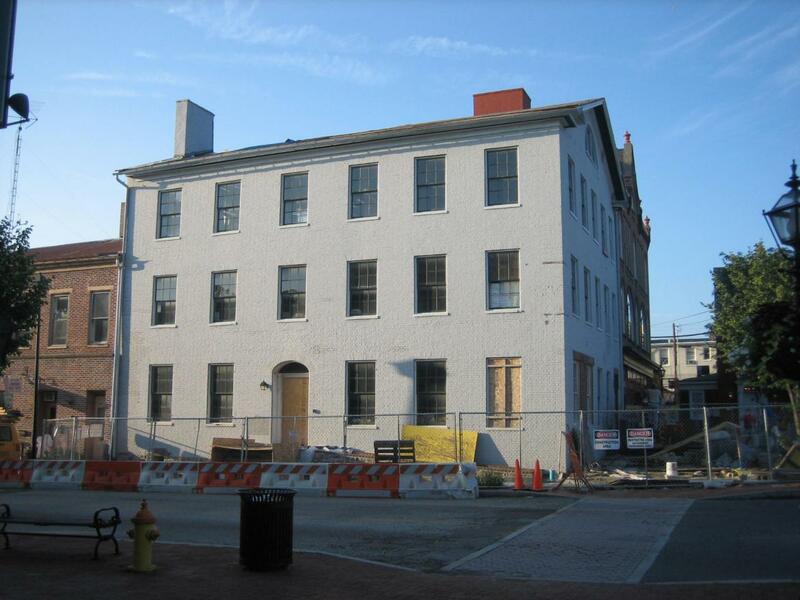 The Wills’ House, where President Abraham Lincoln spent the night before giving his Gettysburg Address is undergoing renovation to be a National Park Service museum and visitor center. The construction around the outside of the structure has forced visitors to not be able to use the sidewalk on the southeast quadrant of Lincoln Square. Visitors must go in the street, although they are protected by the orange and white barriers seen in this photograph. This view was taken from the northwest facing southeast at approximately 7:15 AM on Monday, July 21, 2008. 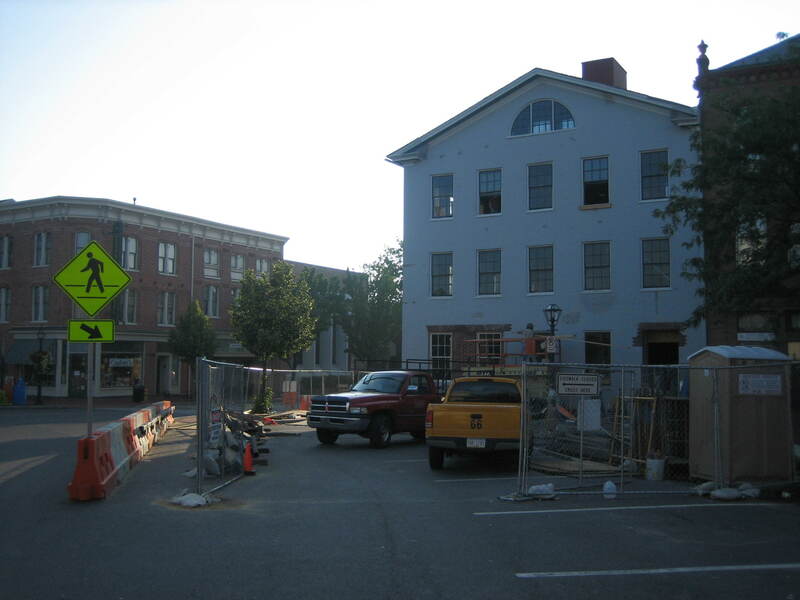 The Wills’ House, where President Abraham Lincoln spent the night before giving his Gettysburg Address, is located on Gettysburg’s town square (Diamond, Lincoln Square). 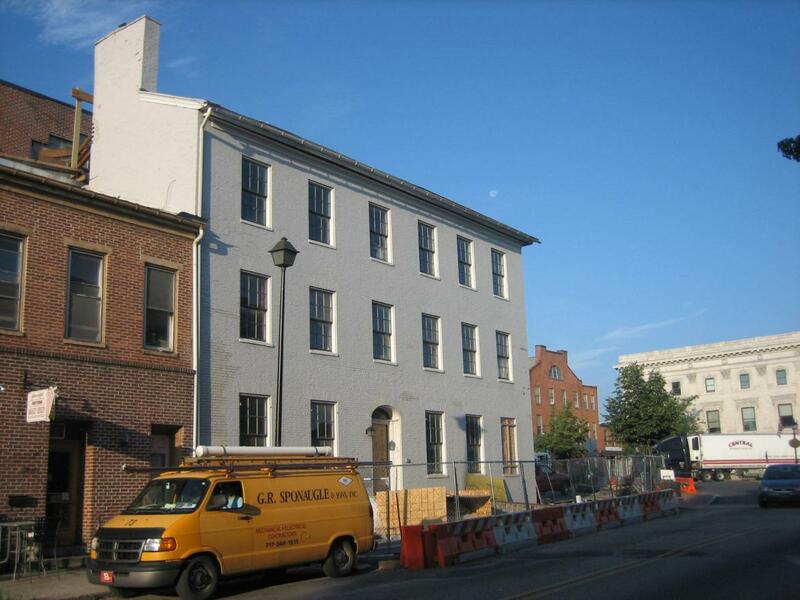 The official opening as a National Park Service museum and visitor center has been pushed back from November 19, 2008 to February 12, 2009. The construction delays have inconvenienced individuals who would like to use the sidewalk and the parking meters in the southeast quadrant of the square. The sidewalk is to be accessible again on August 4, 2008. The Gettysburg Daily took some photographs of the area on Monday morning. See other posts on the Wills House on August 13, 2008 and August 19, 2008. 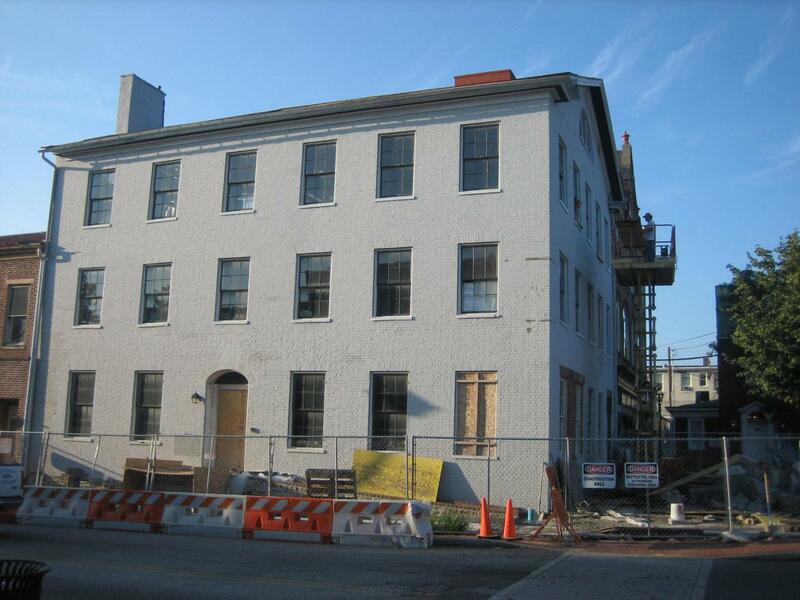 See our post of the Wills House and The Diamond early in the morning of March 2, 2008. There are two sets of barriers to prevent visitors from being struck by traffic. This orange and white barriers shown here on the north side of the building… This view was taken from the northeast facing southwest at approximately 7:15 AM on Monday, July 21, 2008. … and these barriers on the northwest side of the building through which the man in the blue shirt is walking. This view was taken from the northeast facing southwest at approximately 7:15 AM on Monday, July 21, 2008. 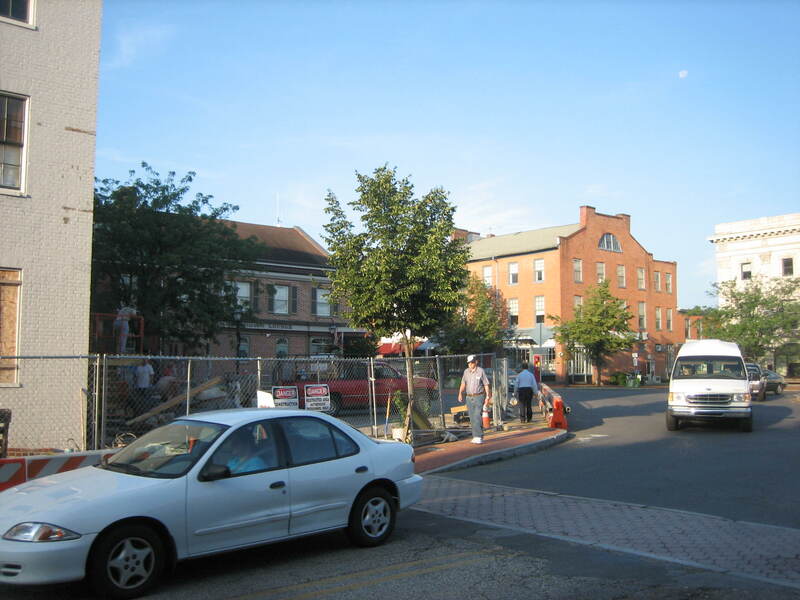 By August 4, 2008, the construction materials are to be removed, and parking and the sidewalk restored to the southeast quadrant of Lincoln Square. This view was taken from the southwest facing northeast at approximately 7:15 AM on Monday, July 21, 2008. The construction workers need the sidewalk area to more conveniently move materials to all the floors throughout the building. Notice the lift on the right, or west side of the building by which a worker is bringing materials to the third floor. This view was taken from the northwest facing southeast at approximately 7:15 AM on Monday, July 21, 2008. 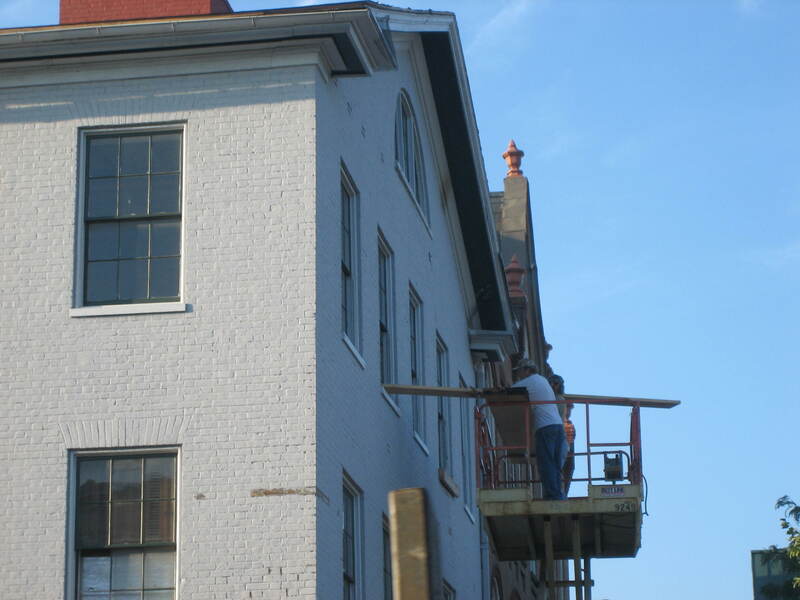 The worker can then easily hand the materials through the window to his coworker inside the building. This view was taken from the northwest facing southeast at approximately 7:15 AM on Monday, July 21, 2008.